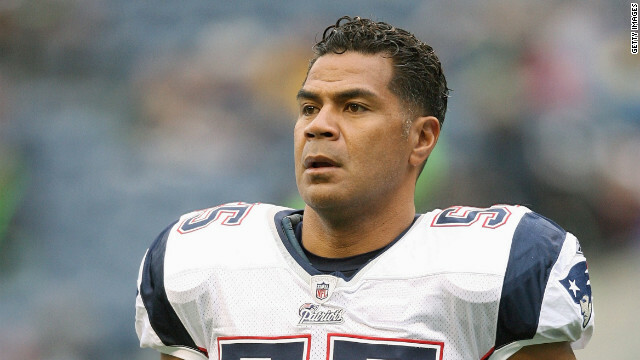 Major League Baseball has announced it will begin random testing for human growth hormone during the 2013 regular season. The announcement of the testing comes one day after baseball writers balked at naming any new players to the Hall of Fame. Barry Bonds, Sammy Sosa and Roger Clemens were among those eligible, but their career achievements have been clouded by alleged use of performance-enhancing drugs. 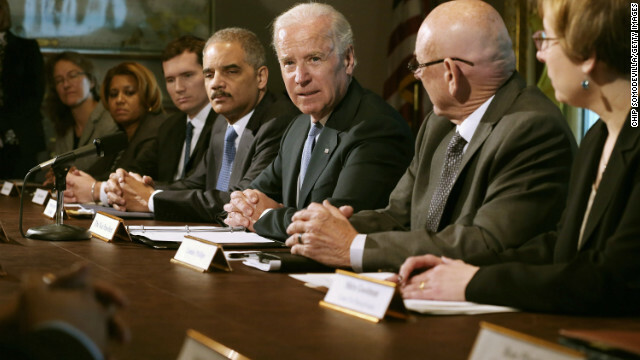 Vice President Joe Biden is heading a task force that is meeting this week with numerous groups about gun violence. Vice President Joe Biden appears to be taking his boss's demand for a quick recommendation on gun violence seriously. Biden said Thursday that he will give recommendations to President Barack Obama by Tuesday on how to reduce gun violence in the United States. Biden is heading a task force that is meeting with numerous groups this week, including some for and some against stricter gun controls. Obama, following a shooting that killed 20 children and six women at a Connecticut elementary school in December, had set a January deadline for the recommendations. Read more about the task force here. This is a 2010 photo of Victor Bout, who was sentenced to 25-years in jail for illegal arms deals. Authorities in Australia have arrested a man they say conspired with a convicted international arms dealer known as the "Merchant of Death." Richard Ammar Chichakli, a U.S. and Syrian citizen, was arrested Wednesday by Australian authorities at the request of the United States, the U.S. Drug Enforcement Administration said Thursday. 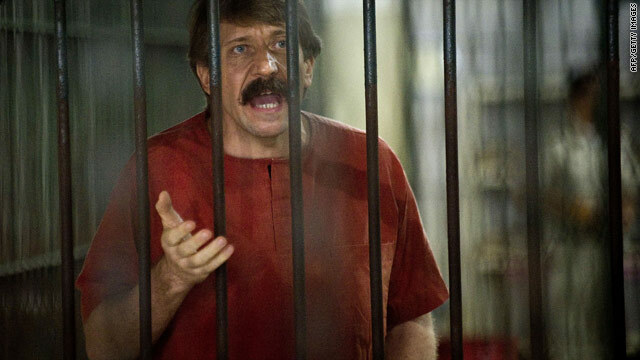 The DEA alleges Chichakli once conspired with convicted arms dealer Viktor Bout to buy airplanes to illegally transport weapons to conflict zones. [Updated at 12:14 p.m. ET] An Atlanta pastor who was picked to deliver the benediction at President Barack Obama's inauguration this month has withdrawn from the ceremony amid a controversy over a sermon he apparently preached on homosexuality in the 1990s. The Rev. Louis Giglio sent a letter of withdrawal to the Presidential Inaugural Committee. Criticism over the selection swirled after the liberal website Think Progress posted a sermon that it said Giglio gave in the mid-1990s, a speech the site called "vehemently anti-gay." At least nine people were injured in two successive explosions in the southwestern Pakistani city of Quetta, CNN affiliate Geo TV said Thursday. A Geo TV photojournalist is among the injured, Geo TV said. Earlier in the day, 11 people were killed and 27 others were injured when a bomb planted in a vehicle near a security checkpoint in the center of Quetta exploded, police spokesman Wazir Khan Nasir said. Wal-Mart's envoy to the White House's gun violence task force will meet with Attorney General Eric Holder, not the group's leader Vice President Joe Biden, an administration official said Thursday. Biden is scheduled to meet with gun owners and gun rights groups Thursday, including the National Rifle Association. Later in the day he'll sit down with representatives of the entertainment and video game industries. 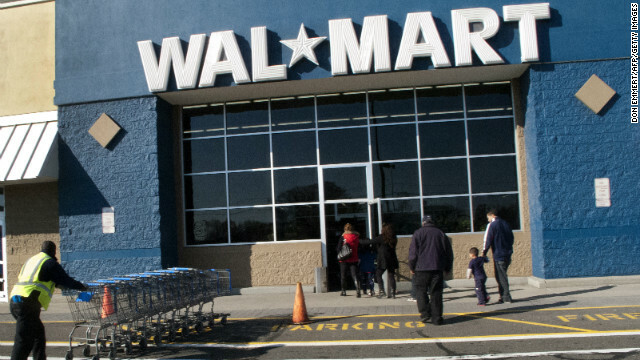 After initially declining an invitation to attend at meeting with the gun panel, Wal-Mart announced Wednesday that it would participate in a meeting with the group, which was assembled after the deadly school shooting in Newtown, Connecticut. CNN published a story this week about a woman married to a female lieutenant colonel at Fort Bragg who believes she was rejected from an officers' spouse club because she's gay. Less than a day later, Maj. Gen. Vaughn Ary advised Marine Corps legal staff such clubs conducting business on its bases must admit same-same spouses. If they do not, the clubs will be barred from meeting on any Marine Corps installation. 8:38 am ET - Academy Award nominations announced - Will "Lincoln" be sworn in for a Best Picture nod? Is the Academy boffo for "Argo"? Could "Skyfall" surprise? Those questions and more will be answered when Seth MacFarlane and Emma Stone reveal the nominees for the 85th Annual Academy Awards. A blast in the city of Quetta in southwest Pakistan killed 11 people and injured 27 more Thursday, police said. Children were among the dead. A bomb planted in a vehicle near a security checkpoint in the center of town caused the explosion, which wrecked a marketplace and destroyed eight security vehicles, police spokesman Wazir Khan Nasir said. Israeli authorities said Thursday there had been an explosion in Tel Aviv near a bus and possibly inside a car. Israel Police spokesman Micky Rosenfeld told CNN the incident appears to be the work of organized crime, not a terror attack. A group of former service members who left the military because of the "don't ask, don't tell" policy will get the full separation pay they were denied, according to a recent $2.4 million court settlement. The settlement was announced this week by the American Civil Liberties Union who sued the U.S. government on behalf of about 181 troops who were honorably discharged for violating the pre-2011 military ban on service members being openly gay. Health problems have stopped Venezuelan President Hugo Chavez from coming to Caracas for an inauguration ceremony Thursday, but there still could be plenty of pomp and circumstance. Several Latin American leaders have already arrived in Venezuela's capital for an event to honor the ailing Chavez, who is undergoing cancer treatment in Cuba and has not made a public appearance in a month. Time is running short for a pack of killer whales trapped by ice near a small Canadian village on Hudson Bay, the town's mayor said Wednesday. The 11 whales are confined in a space of about 30 feet by 30 feet, where they use an opening for a breathing hole, Inukjuak Mayor Petah Inukpuk said.